A mixture is a combination of two or more different substances that have not been combined chemically. Mixtures are broadly divided into two types, homogeneous mixtures and heterogeneous mixtures. A homogeneous mixture has a uniform composition, whereas a heterogeneous mixture does not have a uniform composition as solute and solvent particles can be observed with the unaided eye. Suspensions and colloids are both examples of mixtures in which the solute particles are not completely dissolved in the solvent. A suspension is always a heterogeneous mixture, whereas a colloid can be homogeneous or heterogeneous. The basic difference between suspension and colloid is the size of the dispersed particles. These particles are much larger in a suspension than a colloid. The size of the suspension particles is larger than 10,000 Angstroms whereas the size of the colloidal particles is between approximately 10 to 1000 Angstroms. If allowed to stand, the suspension particles can settle down at the bottom of the container under the influence of gravity. 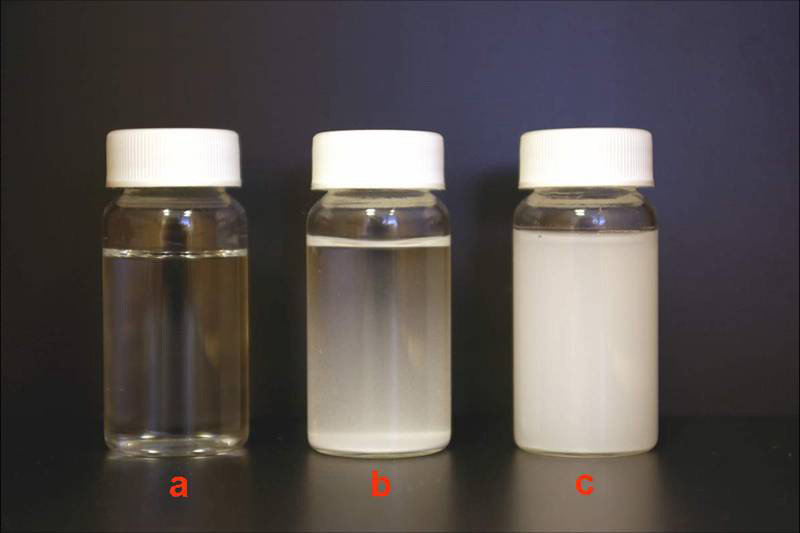 While in case of a colloid, these particles do not settle down under normal conditions, however, special techniques like centrifugation can be used to obtain sediments. Furthermore, the suspended particles in a suspension cannot pass through the filter paper, while the particles of a colloidal solution easily pass through filter paper. 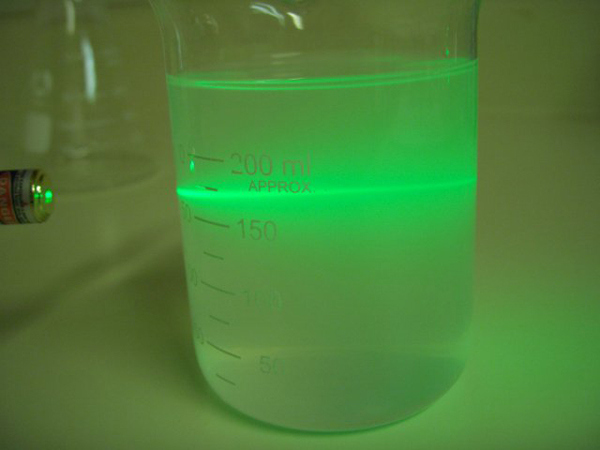 Suspension are always opaque (do not transmit light), whereas the colloids can scatter light and can be opaque or translucent. Suspension is a heterogeneous mixture of substances (solids, liquids or gases) in which the solute particles are large enough (usually larger than 1 micrometer) for sedimentation. A suspension is broadly divided into two parts, the dispersed material (usually a solid) and a dispersion medium (can be solid, liquid or a gas). The dispersed particles in a suspension are visible to the naked eye and can be easily separated from the mixture by running it through filter paper. If allowed to stand still for some time, the suspended particles automatically settle down. Muddy water, flour dissolved in water, dust particles suspended in the air are some common examples of suspension. A colloid is a substance (usually solid) microscopically dispersed throughout another substance (solid, liquid or gas) and the mixture is termed as a colloidal solution. A colloidal system consists of two phases, an internal phase (or dispersed phase) and a dispersion medium (or continuous phase). The size of the dispersed phase particles is very small (1 to 1000 nanometres) and are normally invisible under a microscope. 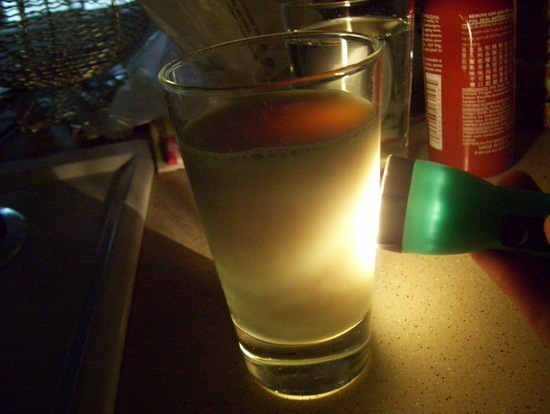 However, their presence gives the solution a hazy look as milk and fog are two of the most common examples of a colloidal solution.